The chart rules may have changed - but Justin Bieber is still number one. Last week, the Official Charts Company overhauled the way it compiles the Top 40 in an effort to stop A-list artists elbowing newer acts out of the way. The move was prompted by Ed Sheeran, whose new album ÷ [Divide] proved so popular that it propelled 16 tracks into the top 20 in March. Appropriately, he seems to be the main victim of the new rules, with several of his songs adversely affected. Last week, Sheeran had eight songs in the Top 100. This week, he has three. Four of those former hits dropped out naturally, because their sales declined following a brief, post-Glastonbury peak. But another song was excluded from the countdown because, under the new system, artists are only allowed a maximum of three songs on the chart at any one time. 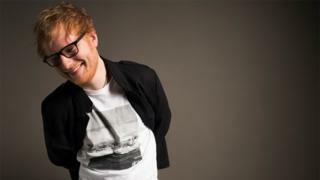 Some of Sheeran's other songs tumbled down the charts, apparently the victim of a second rule penalising tracks that are "well past their peak and in steep, prolonged decline". For those songs, the Official Charts Company is applying a new formula, whereby 300 streams count as one sale (for newer songs, the ratio is 150:1). The idea is that the longer a song has been in the charts, the faster it will fall out of the top 100. As a result, Sheeran's former number one Shape Of You, which has been in the Top 40 for 26 weeks, suddenly dropped 12 places after weeks of steady decline. Similarly Clean Bandit's Symphony, which has been in the chart for 16 weeks, dropped 10 places. The upshot of these moves, however, is that newer tracks have been bumped into the Top 40; with more new entries this week than any other in 2017. These include Most Girls, the new single by actress Hailee Steinfeld, which makes its top 40 debut after hovering just outside the main countdown for six weeks. Finnish singer Alma also saw her single Chasing Highs rocket from 54 to 30, giving the musician her first ever hit in the UK. Elsewhere, Selena Gomez's Bad Liar jumped nine places to reach a new peak of 25. At the top end of the charts, the new rules made little difference. Luis Fonsi's Spanish-language smash Despacito, which features a guest verse from Justin Bieber, remained at number one for an eighth week. DJ Khaled and Rihanna's Wild Thoughts, meanwhile, held steady at number two. According to the Official Charts Company, the new rules were designed to "ensure the chart continues to be a showcase for the new hits and talent which are the lifeblood of UK music". But chart analysts questioned the need for the changes. "It's a really odd situation," said Fraser McAlpine on the Top 40 podcast Unbreak My Chart. "Part of the fun of the chart has always been that it reflects what people's listening habits are." "If you've managed to iron out the possibility that everybody in Britain is suddenly really excited by four songs by the same artist, that seems like an odd way of hammering down on enthusiasm." McAlpine noted that a situation like last April, when six Prince songs entered the Top 100 in the week after his death, would no longer be possible. "The charts have never been a pure system," added his co-presenter Laura Snapes. "But never before have the rules felt like such a blatant attempt to ensure the relevance of the singles chart at a time when it is less relevant than ever. "It just seems like desperation and panic". James Masterton, who has been commentating on the Top 40 for the last 25 years, was more positive on his blog, saying the new rules would "clear out" long-in-the-tooth hits, such as Justin Timberlake's Can't Stop The Feeling which has spent 61 weeks in the Top 100, "and which is now clearly taking up a space that could be better used by a newer hit". On the album chart, where the system was unchanged, Sheeran remained at number one, closely followed by Calvin Harris's fourth album, Funk Wav Bounces Vol 1. Rag N Bone Man's Human rose two places to number three, which means it will spend its 21st week in the top five. The Bee Gees' greatest hits album Timeless jumped to number six, bolstered by Barry Gibb's recent appearance at Glastonbury. And TLC saw their final, self-titled album enter the chart at number 40 - an impressive placing given that fans who crowd-funded the project two years ago received their copies for free, making them ineligible for the chart.